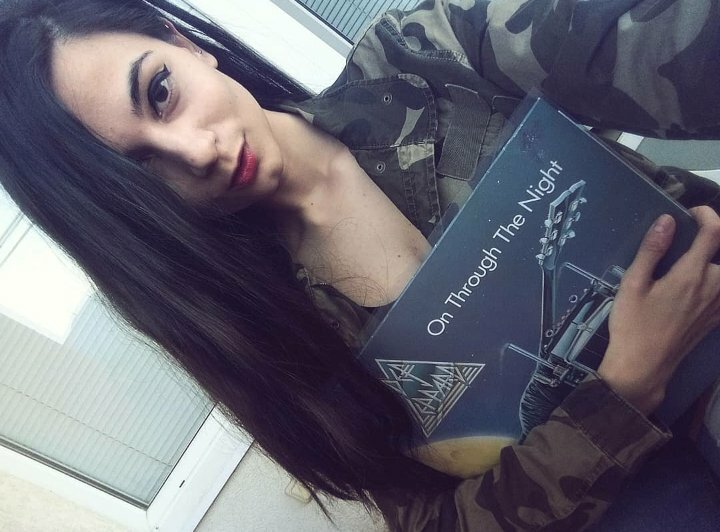 If you are already in possession of Helix’ “Long Way to Heaven” or you just got your hands on it for the first time, there’s only one thing to do with it – CRANK IT UP and LET IT ROCK! The Canadian heavy metal rockers hit it quite big with their 1984 release “Walkin’ the Razor’s Edge” so fans were pretty excited to see whether their third album for Capitol records will be as mighty as its predecessor. Don’t let the angelic album cover fool you – “Long Way to Heaven” is everything but innocent! The year was 1985 – the glam metal scene had already become an endless ocean where every 10 seconds a new band was trying to make its way between the shoals. That didn’t stop Helix from writing some top notch compositions and rocking the hell out of the ‘80s! Helix were never just about the hair, the glam, the big venues and the ostentatious music videos. They were a laid-back band that just knew how to make good old and highly enjoyable rock&roll. “Long Way to Heaven” doesn’t really stand out with its flashy production qualities, complicated arrangements or lyrics that can dig a hole in your heart. This album is all about having fun, drinking a beer and living life at its fullest! “Long Way to Heaven” is one big ball of energy. It opens with “The Kids Are All Shakin’” – a worthy appetizer that builds up your excitement for what’s coming. Number two on the tracklist is the power ballad “Deep Cuts the Knife”. Released as the first album single (I love it when the first single is a ballad), the moving tune turned into one of the biggest radio hits from “Long Way to Heaven”. No surprises there – a bit heavier than your ordinary ‘80s power ballad which is exactly why it’s so good! What follows is a great playlist, featuring dangerously compelling rockers, like “Ride the Rocker”, “Long Way to Heaven” and my personal favorite “House on Fire”! I have previously expressed how much I adore a song with a persuasive guitar intro and “House on Fire’s” first 37 seconds just blew my mind! Every band had a song, named after a girl’s name. For Helix, it was “Christine” – another memorable, well-written moment, coming out of their fifth album! Well-crafted hard rockers, superb vocals by Brian Vollmer and loads of straightforward hard rock spirit are the reason why “Long Way to Heaven” achieved the platinum status in Canada. Believe me, with this album the way to rock&roll is not that long! Cheers and take all the pleasure! this is such a great album, thanks for giving one of the hardest working bands in Canadian music some recognition! I had the pleasure of meeting Brian Vollmer a couple of years ago, he’s an absolutely fantastic guy and always has some time to spend with fans. No Rest for The Wicked and Back For Another Taste are my two other favourite Helix records. Rock on!!! Thanks for the comment, I love these guys and this album is absolutely stunning. Glad there are other people like me who appreciate it! I also love Wild in the Streets and of course Walkin’ The Razor’s Edge …they rock!! !